I AM A CRIMINAL DEFENSE ATTORNEY THAT WON'T JUST HOLD YOUR HAND AND PLEAD YOU GUILTY! MANY LAWYERS JUST TAKE THE MONEY AND THEN PLEAD YOU GUILTY. I WILL FIGHT FOR YOU AND TRY TO GET THE CASE DISMISSED, OBTAIN A GOOD PLEA AGREEMENT, OR WIN A TRIAL! 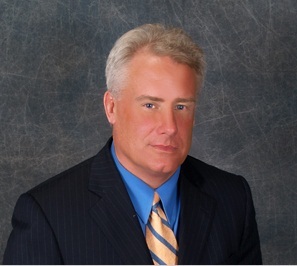 Nick Gegen is a Top rated criminal defense lawyer who has been in practice for over 25 years. He specializes in Criminal Defense and DWI representation. I want to help the underdog. Criminal Defense allows me to do that like no other area of law. After graduating from Hamline Law School, along with some courses from Notre Dame, and a vast amount of street smarts, Nick Gegen started a career that has consisted of more than 25 years of courtroom criminal trial experience. He is an experienced criminal defense attorney who represents people in the Metro and throughout the state. He has won trials in every kind of case from a speeding ticket offense to murder. His trial skills allow him to negotiate excellent plea-bargains as well. I will not back down. I have won 85 percent of my Jury Trials. This is way above average. I will not force a client to plead guilty. In fact, one Ramsey County Judge called him a "little pitbull" who won't give up. Nick Gegen's attitude has always been tough and aggressive inside and outside of the Courtroom as well. I am a former National Free-Style Wrestling Champion and also participated in some cage-fighting matches at the age of 45. These experience have shaped my attitude with regard to defending good people who face tough prosecutors. Another quality that differentiates me from other criminal defense lawyers lies in the fact that I have a big heart for somebody that is in trouble. I won't judge you, lecture you, or talk down to you. And, I won't take advantage of your situation and charge you a huge fee. I view each client as somebody who got caught up in a situation which they regret now. Lastly, I am very familiar with the role drugs and alcohol play in a case. When people are "under the influence" of drugs or alcohol they make stupid decisions. As such, I know ways to use treatment and recovery as a tool to obtain better resolutions in a case. I take a personal approach with clients and really care about what happens to them. With me, it is not all about the money. It is about the client as a decent human being who made some mistakes. I don't lecture, talk down, or disrespect my clients. AND I return calls promptly. After graduating from Hamline Law School, along with some courses from Notre Dame, and a vast amount of street smarts, Nick Gegen started a career that has consisted of more than 25 years of courtroom criminal trial experience. He is an experienced criminal defense attorney who represents people in the Metro and throughout the state. He has won trials in every kind of case from a speeding ticket offense to murder. His trial skills allow him to negotiate excellent plea-bargains as well.